You have a great pool table and all the accessories, but you can't walk through your game room without tripping over pool cues. Why not treat yourself to this officially licensed high-end furniture grade cue rack. Protect your cue tips along with the pictures on the wall while supporting one of your favorite teams. This two piece oak veneered wood cue rack is highlighted with an inlaid mirror that has the full color graphic of your favorite team. 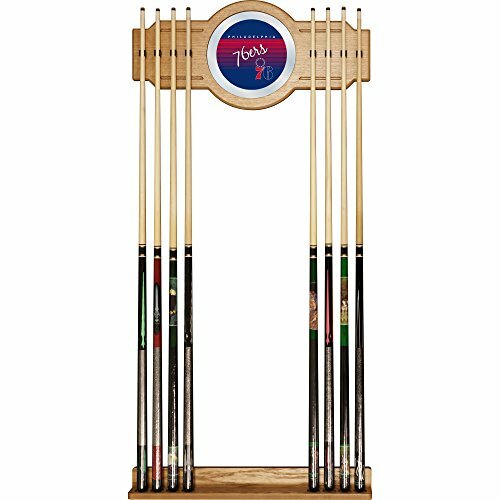 There will be no more looking around the room to find the break stick with this officially licensed cue rack on your wall.